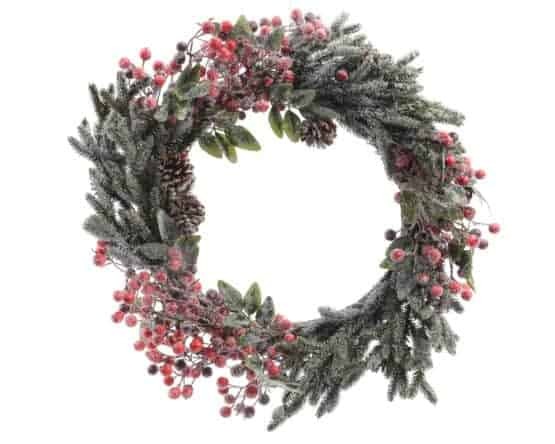 60cm Green and Red Berries Christmas Wreath with Snow. 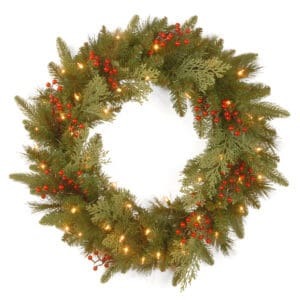 This Green and Red Christmas Wreath is full of Mixed Berries and Snow. 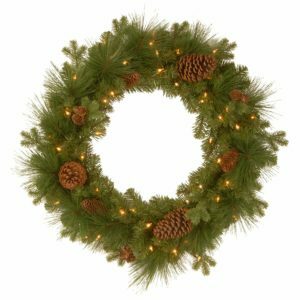 It will give a festive touch to your Christmas decorations and measures 60cm in diameter. 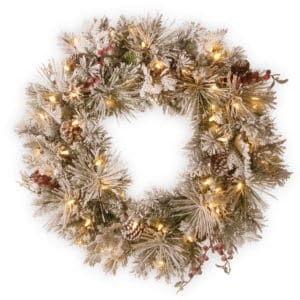 Snowy Bedford Wreath Pre-Lit Bring the feel of winter inside without the cold this season with this beautifully crafted Snowy Bedford Pre-Lit Wreath. 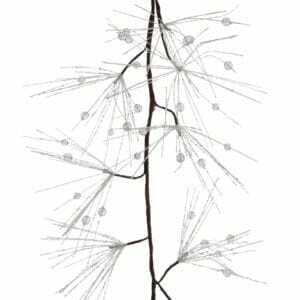 With it's white "Feel Real" branch tips. It looks stunningly realistic. It is also adorned with warm long lasting and energy efficient LED lights for a sparkling shine. Built with longevity and durability in mind. 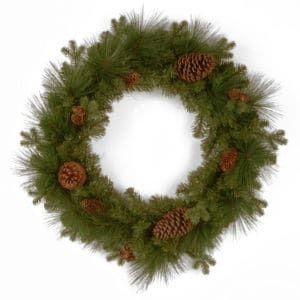 This wreath will bring a warm wintry welcome to your friends and family for many Christmastimes to come. 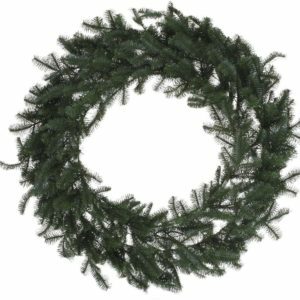 Nordmann Wreath The Nordmann Wreath is a finely crafted traditional style wreath that can stand on its own as a beautiful traditional Wreath. But it can also be used as a blank canvas for your own decorations. Snowy Nordmann Wreath The Snowy Nordmann Wreath by kaemingk, is a new addition for this year. 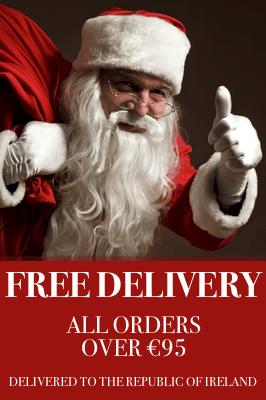 With 2 sizes in the range these will sell out fast. 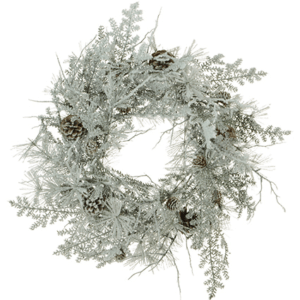 This luxury giant wreath (75cm and 90cm) contain broad mixed tips generously coated with the soft winter lick of frosted snow. 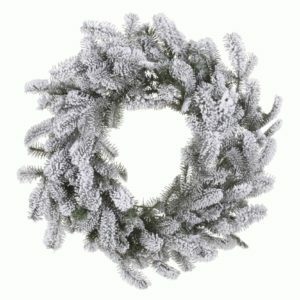 The Snowy Nordmann Wreath will be a winner this year.